We invite you to visit, where you will be warmly welcomed, surprised and amazed. The sun kissed island of Sri Lanka lies in the Indian Ocean, to the southwest of the Bay of Bengal and to the southeast of the Arabian Sea. It is separated from the Indian subcontinent by the Gulf of Mannar and the Palk Strait. 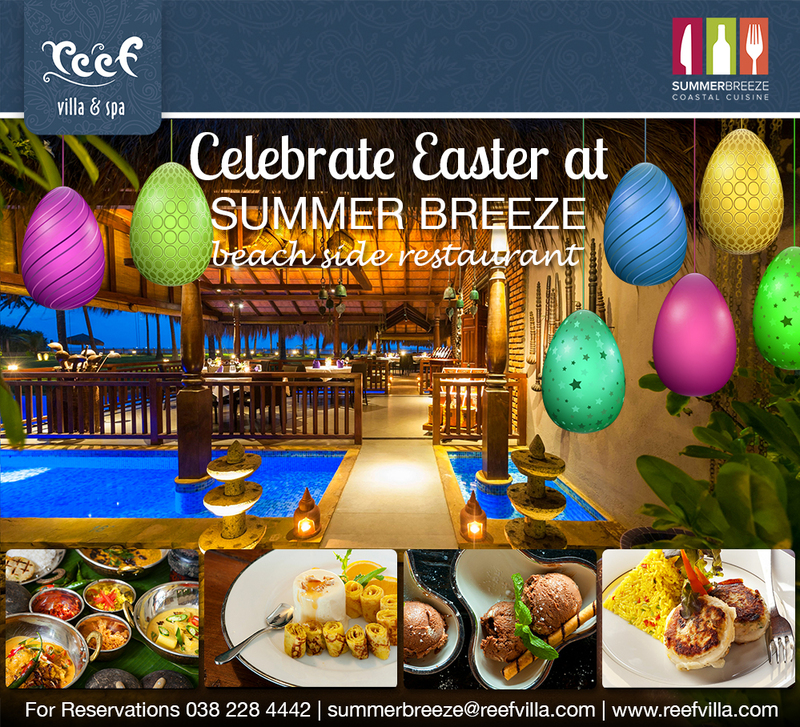 Reef is located in the small unspoilt seaside hamlet of Wadduwa on the south west coast of Sri Lanka. 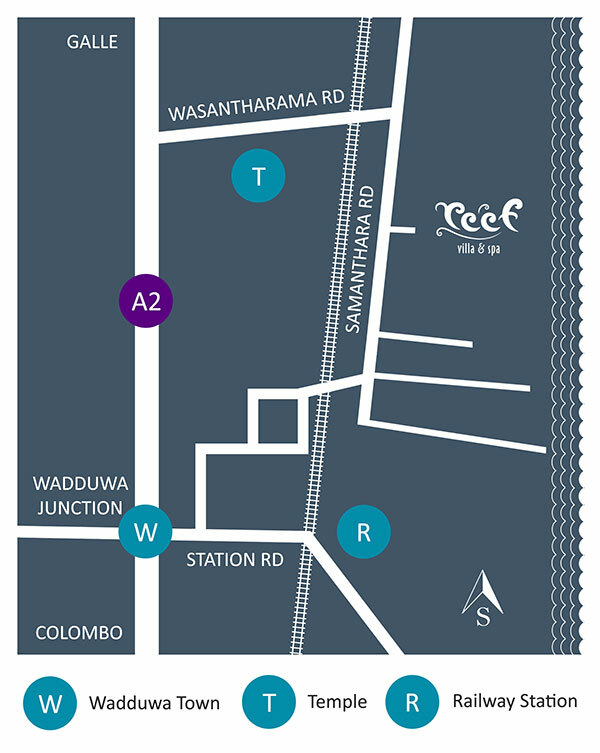 We are 30 minutes drive south of Colombo and approximately 90 minutes drive from Bandaranaika International airport, on the main Colombo Galle road.